Deborah Edwards, One sun one moon: Aboriginal art in Australia , ‘Histories in the making: Aboriginal Art and modernism’, pg. 51-63, Sydney, 2007, 53 (colour illus.). 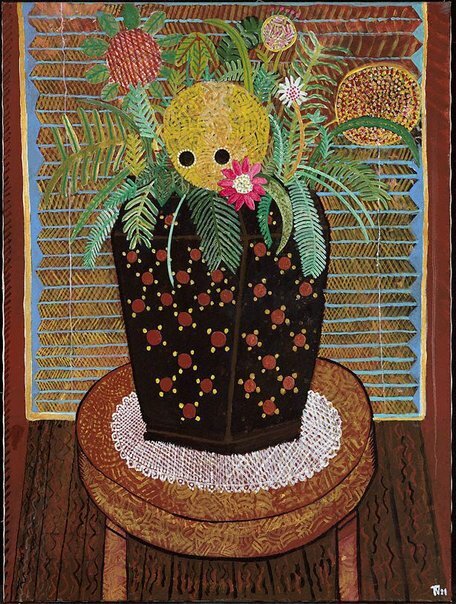 Deborah Edwards, Australian Collection Focus: Margaret Preston The brown pot 1940, I lived at Berowra 1941, Grey day in the ranges 1942 , 'An art for Australia, from Australians', pg. 3-9, Sydney, 2002, 15. Cambridge visual arts: stage 4 , Cambridge, 2008, 127 (colour illus. ).